The Cyberpunk 2077 release date is still something of a mystery, but a new clue has dropped suggesting that the next game from The Witcher developer CD Projekt Red will release next year. According to a tweet from Turkish publisher Bilkom, which has since been deleted, Cyberpunk 2077 will release in 2019. Bilkom worked with CD Projekt on the publication of the Witcher games in Turkey, and is also working with the devs on the release of Cyberpunk in the country. That doesn’t make this gospel truth, but it certainly does lend some credence to this new information. The tweet was posted last week, and has since been taken down, but was screenshotted by VG247 Turkey. 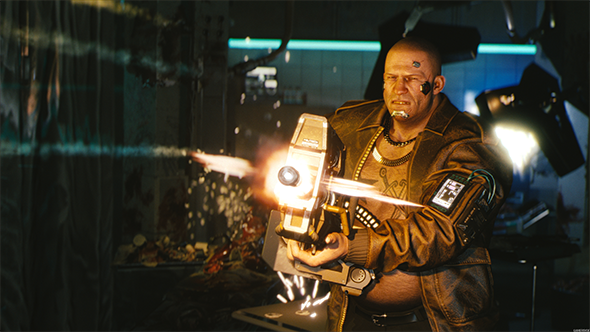 A quick run through Google Translate says “The makers of the Witcher series, CD Projekt’s new game [is] Cyberpunk 2077. With assurance [/guarantee] in Turkey in the year 2019.” It’s a slightly clumsy translation, admittedly, and I’ve had to alter the grammar very slightly, but I’m sure you get what they’re trying to say. Rumours concerning the Cyberpunk 2077 release date have been swirling since the game’s official reveal at E3 2018, and this is just another potential sauce. Don’t take it as read, then, but be aware that it does fit in with plenty of other pieces of evidence that point towards a 2019 launch for Cyberpunk 2077. It’s important to point out that CD Projekt has remained resolutely silent when it comes to the game’s release date. Until we get official word, sadly, this all remains mere speculation. We’ve reached out to CDPR for comment, and we’ll update this story if we hear more.